Hartley Bear is lost with no idea of his way but we must help him hurry home for the Teddy bears picnic is happening today. 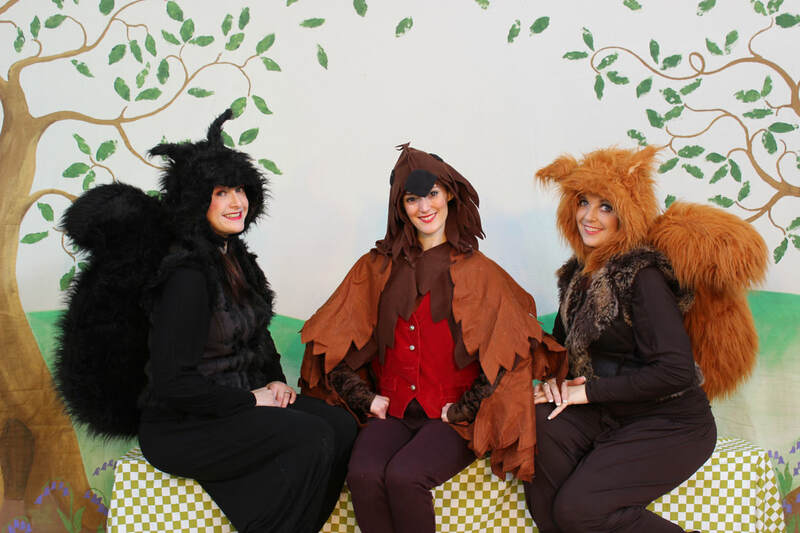 Meet Robin, Rusty & Ebony who will help Peggy Sue find her lost pal and get to the picnic in time! Sing-along with us, our songs have actions but don't you worry...we'll show you want to do. Let us teach you how to hand jive and to find your groove ... make sure you have your dancing feet at the ready! Hurry now...For todays the Teddy Bear's Picnic! and that is to be your teddy bear" said Hartley Bear! 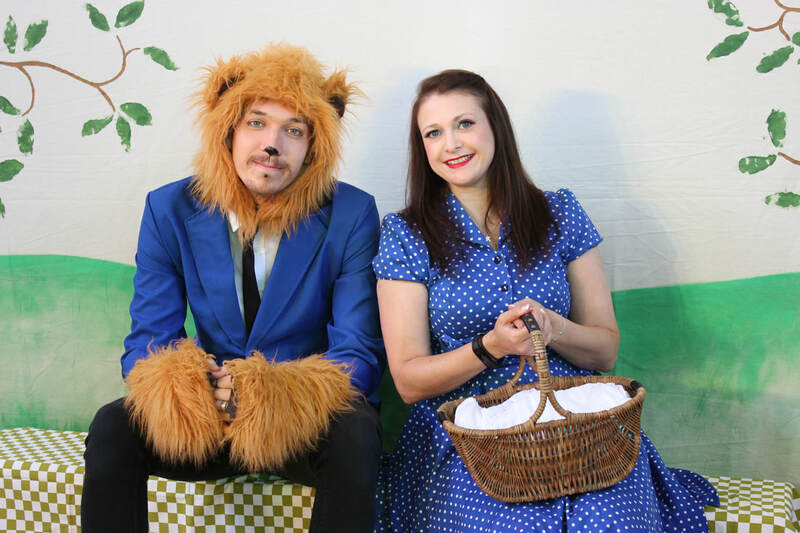 Imajica Theatre Companies touring production of Hartley Bear's Picnic Adventure' can be performed anywhere, all that we need is access to electricity. We can provide a show tent for outdoor performances and can adapt out set for any space. 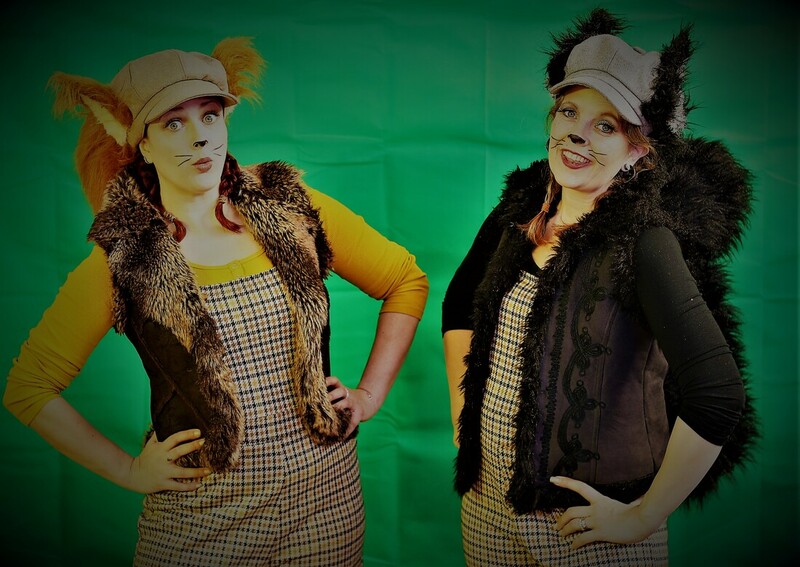 Our shows can consist of 4 to 6 actors to allow us to offer a performance to suit your budget and we are self-contained, so set up, organize our audience and clear away independently. We provide a set and bring along our own PA system and sound tech but can also perform on a stage and work with a stage crew provided by you. Our interactive cast are always available for photo opportunities post performance and are happy to chat to our younger audiences who always like meeting the characters after the show. 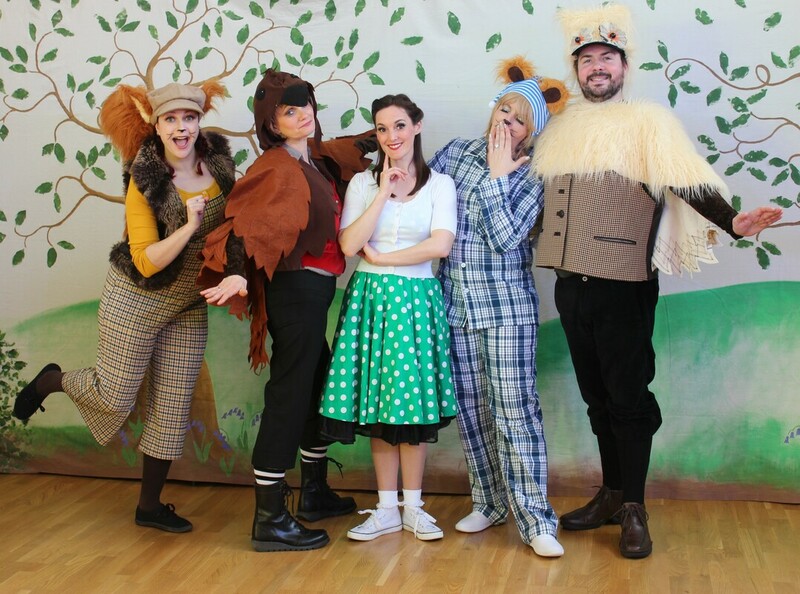 Imajica Theatre Company follow on workshops are filled with songs, dance and drama and take children into a world of magic and make believe. We can tailor our workshops to suit you requirements and are led by 2-3 of the cast. A workshop includes games such as Forest & castle- a drama game to build characterisation. Woodland Statues - musical statues, Follow the leader- lean a fun dance choreographies and The Teddy Bears Picnic - Sing-a-long with actions to this well-known song - 'A woodland Adventure - in interactive and imaginative drama game with songs and dance.